We recognize and reward the best performing desktop processors launched in 2013. Intel Core i7 4960x takes the top spot with its screaming fast performance and enhanced power efficiency. This year started off with nothing coming out in Q1 while towards the end of Q2 saw the launch of Intel’s Haswell CPU family bringing in 17 more processors into the highly crowded processor market. While we wouldn’t say that a momentous boost in performance was achieved this year, since all increments were within the 5-10 per cent range, we’ve come to expect that for processors. Right around the same time AMD came out with a few processors based on its Piledriver architecture which weren’t priced as well as AMD has done in the past. 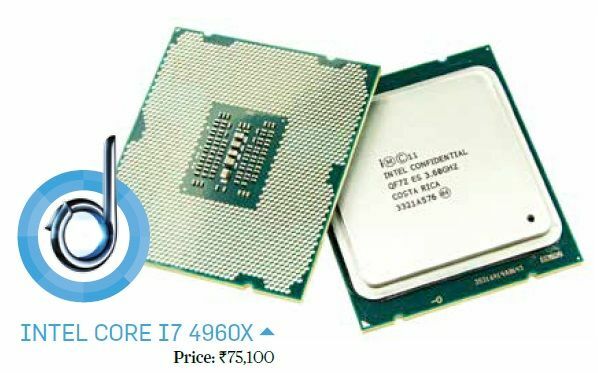 Top Haswell processors did compete well with the Piledriver models and it was the price that put the ball in Intel’s court. Surprisingly, AMD is not going to launch any new FX-series processors next year, though the year after that may have something in store for us. In the third quarter, we saw the IVB-E LGA2011 processors launch which on it’s own didn’t need a new socket, and provided a similar boost as the Haswell increments we saw earlier. Since there isn’t anything new other than the marginal performance increment most enthusiasts are looking over to skipping this launch and hoping that Haswell-E which should launch late next year would make for a more worthy upgrade. Unfortunately, the X99 chipset will be out by then which will necessitate upgrading your motherboard as well. Moving on, we had plenty of refreshes in the APU segment which has been found to be worth the investment given the graphics performance increment. Not only AMD, but even with Haswell the HD4600 on-chip graphics made for a worthy increment in performance. However, it can be said that AMD still has a good grip in the segment and is doing great. Ivy Bridge launches have moved on to the more budget friendly Pentium moniker with plenty of G series processor coming out. The most interesting news by far given processors was that both next gen consoles (Xbox One and PS4) have gone ahead with AMD’s APUs and have moved to an x86 architecture. Great news for developers and PC gamers since we won’t have to endure too many more crappy console ports. There hasn’t been a CPU comparison this year at our Test Centre which means we couldn’t get our hands on most of the new launches. However, going by sheer performance the winner for this year is no surprise. The Intel Core i7 4960X is our best performing desktop processor winner for 2013. It offers an performance boost of about 5-8 per cent over its predecessors. Though the power draw has been significantly reduced owing to the 22nm manufacturing process used for this iteration. Overall, this doesn’t seem that big a launch since it has been two years since 3960X launched and all there is to show for this period is a meagre increment in performance. Not having a new socket to go with this launch does help since there would be hardly anyone willing to upgrade from a 3960X otherwise. However, if the 8 pre cent does matter in your line of work then by all means go for it, it’ll most likely pay off in a few months till you can get your hands on the Haswell-E. 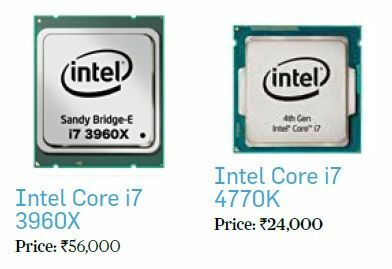 Since these are still available on the market and their performance is similar to the 4960X the 3960X is still a better choice economically. You’re essentially getting the same product at a much lower price. The Haswell-E processors will be worth the wait though. 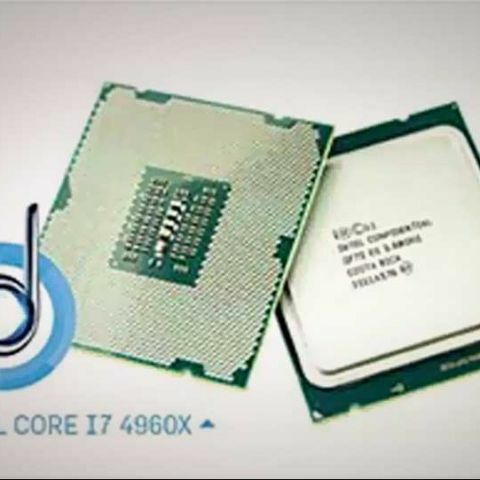 If getting your money’s worth is a concern then the Intel Core i7 4770K is the processor for you. A refresh over last year’s 3770K, the 4770K offers better performance in regards to processing and graphics capabilities. Everything else remains the same, but it still makes for a fair purchase since the unlocked multiplier now scales to 80 in comparison to Ivy Bridge’s 63, however, even though it is based on the same manufacturing process Haswell has been criticised for ramping up to really high temperatures when overclocked, which is something you’d want to keep in mind.